In this tutorial, am going to show you “how to schedule US visa appointment for family in Nigeria” or in other words “how to book family appointment for US visa in Nigeria”. We will also deal with how to fill out your U.S DS 160 for your family. So if you want to travel with your family for vacation to the United States, this is how you should go about it. Step 1: Get your International Passports Ready. Acquire the Nigerian international passport for all members of the family who intend to travel to the United States of America. Visit any immigration office to start the process. Find out the cost and the process of getting an international passport. Once you have made payment for the process and have done your capturing, your international passport will be ready in 3-4weeks. Step 2: Fill the U.S DS 160 Form for ALL family members. Fill out the U.S DS160 form for all members of your family who intend to travel to the United States. Parents, as you are filling out the DS 160 form for your family members, you should indicate that there are other persons that will be traveling with you. You will enter their names and their relationship with you in the space that is provided in the form. If your children are under aged, you will have to fill out their DS160 forms for them as well. In their forms, you will also indicate that they will be traveling with their parents and other siblings if the need be. All these DS 160 forms must be filled and submitted online. You are to print out the confirmation page (with barcode) and bring the printed copies to your interview at the US embassy. Contact our US visa consultants in Nigeria to help you complete your family US-160 application form and book family appointment for US visa in Nigeria. Call us on 07033378184 or via email assist@travelvisa.ng. We will be glad to help. 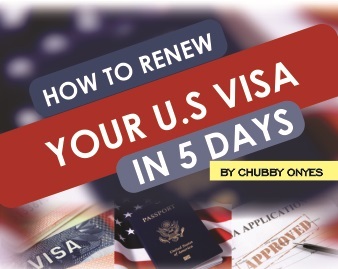 Step 3: Pay Your U.S visa Fees. Pay visa fees for every US visa applicants in your family. You are going to pay $160 (N64, 000) for each member of your family. So if you are 5 applicants in your family then you will have to pay N320, 000. The US visa fee can only be paid in any Guaranty Trust Bank Nigeria. To learn more about the process of visa fees payment read this article “Click Here”. Step 4: How to Schedule US visa Appointment for Family in Nigeria. On this new page, you will be able to create a new account. You will be required to fill in your email address, first Name, last name and password. When you are done click on “Submit”. A new account will be created for you and a verification notice will be sent to the email address you provided. When you are done creating and verifying your account, you are to log in to your online applicant platform. The CGI reference or receipt number of the U.S visa fees form you paid at GTBank. You will provide this receipt number of each applicant. Pick an interview date and time from the available dates. You can print out your interview schedule or have it sent to your email address. Attend your US visa interview appointment on its due date. The DS 160 confirmation page of each applicant. The US visa fees receipt of each applicant. A copy of the scheduled visa interview appointment. Pls can I still get an interview date for August 2018 if I apply dis June. And what are the possible questions for a family intervie. That’s my husband, my 2 kids and I. My wife name contains an hypen(‘) and my son contains dash (-) on their Nigeria passport. By filling out the ds160 form, the hype and d dash were not accepted. Please what should I do? Can I still get an interview date for early September, 2018 I applied last July, 2018. Thanks. Please put me through, I have submitted DS-160 form and the also scheduled my family appointment but couldn’t get the required sizes of passport photographs downloaded on the form. Now I have got the specified sizes but I don’t know how to go about the passport upload. Kindly assist me.